Mastoparan (Vespula lewisii) has been shown to cause an increase in the production of Arachidonic Acid (sc-200770) catalyzed by PLA2 from porcine pancreas and bee venom. This compound also displays toxicity by regulating G proteins via mimicking of G-protein-coupled receptors. Additionally, Mastoparan has been reported as a stimulator of insulin release by pancreatic islets, which acts through GTP-binding proteins and PLA2. In other experiments, this agent has demonstrated the ability to cause exocytosis of rat peritoneal mast cells and also stimulate the accumulation of inositol phosphates in hepatocytes. Additionally, Mastoparan has been noted to act as a mitogen in Swiss 3T3 cells and stimulate pertussis toxin-sensitive Arachidonate release without phosphoinositide breakdown. Mastoparan (Vespula lewisii) is an inhibitor of CaM. Mastoparan (Vespula lewisii) is an activator of Heterotrimeric G Protein and PLA2. Solubility: Soluble in water (2.6 mg/ml), and 100% ethanol. 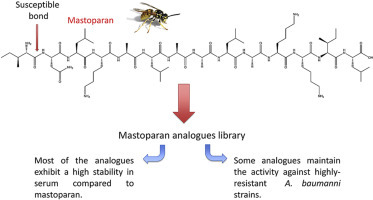 Mastoparan is a peptide toxin from wasp venom. It has the chemical structure Ile-Asn-Leu-Lys-Ala-Leu-Ala-Ala-Leu-Ala-Lys-Lys-Ile-Leu-NH2. The net effect of mastoparan’s mode of action depends on cell type, but seemingly always involves exocytosis. In mast cells, this takes the form of histamine secretion, while in platelets and chromaffin cells release serotonin and catecholamines are found, respectively. Mastoparan activity in the anterior pituitary gland leads to prolactin release. In the case of histamine secretion, the effect of mastoparan takes place via its interference with G protein activity. By stimulating theGTPase activity of certain subunits, mastoparan shortens the lifespan of active G protein. At the same time, it promotes dissociation of any bound GDP from the protein, enhancing GTP binding. In effect, the GTP turnover of G proteins is greatly increased by mastoparan. These properties of the toxin follow from the fact that it structurally resembles activated G protein receptors when placed in a phospholipid environment. The resultant G protein-mediated signaling cascade leads to intracellular IP3 release and the resultant influx of Ca2+. In an experimental study conducted by Tsutomu Higashijima and his counterparts, mastoparan was compared to melittin, which is found in bee venom. Mainly, the structure and reaction to phosphate was studied in each toxin. Using Circular Dichroism (CD), it was found that when mastoparan was exposed to methanol, an alpha helical form existed. It was concluded that strong intramolecular hydrogen bonding occurred. Also, two negative bands were present on the CD spectrum. In an aqueous environment, mastoparan took on a nonhelical, unordered form. In this case, only one negative band was observed on the CD spectrum. Adding phosphate buffer to mastoparan resulted in no effect. Melittin produced a different conformational change than mastoparan. In an aqueous solution, melittin went from a nonhelical form to an alpha helix when phosphate was added to the solution. The binding of melittin to the membrane was believed to result fromelectrostatic interactions, not hydrophobic interactions. Infections caused by multidrug resistant bacteria are currently an important problem worldwide. Taking into account data recently published by the WHO, lower respiratory infections are the third cause of death in the world with around 3.2 million deaths per year, this number being higher compared to that related to AIDS or diabetes mellitus . It is therefore important to solve this issue, although the perspectives for the future are not very optimistic. During the last 30 years an enormous increase has been observed of superbugs isolated in the clinical setting, especially from the group called ESKAPE (Enterococcus faecium, Staphylococcus aureus, Klebsiella pneumoniae, Acinetobacter baumannii, Pseudomonas aeruginosa, Enterobacter spp.) which show high resistance to all the antibacterial agents available . We will focus on Acinetobacter baumannii, the pathogen colloquially called “iraquibacter” for its emergence in the Iraq war. It is a Gram-negative cocobacillus and normally affects people with a compromised immune system, such as patients in the intensive care unit (ICU)  and . Together with Escherichia coliand P. aeruginosa, A. baumannii are the most common cause of nosocomial infections among Gram-negative bacilli. The options to treat infections caused by this pathogen are diminishing since pan-drug resistant strains (strains resistant to all the antibacterial agents) have been isolated in several hospitals . The last option to treat these infections is colistin, which has been used in spite of its nephrotoxic effects . The evolution of the resistance of A. baumannii clinical isolates has been established by comparing studies performed over different years, with the percentage of resistance to imipenem being 3% in 1993 increasing up to 70% in 2007. The same effect was observed with quinolones, with an increase from 30 to 97% over the same period of time. In Spain the same evolution has been observed with carbapenems; in 2001 the percentage of resistance was around 45%, rising to more than 80% 10 years later . Taking this scenario into account, there is an urgent need for new options to fight against this pathogen. One possible option is the use of antimicrobial peptides (AMPs) , and , and especially peptides isolated from a natural source . One of the main drawbacks of using peptides as antimicrobial agents is the low stability or half-life in human serum due to the action of peptidases and proteases present in the human body, however there are several ways to increase their stability, such as using fluorinated peptides  and . 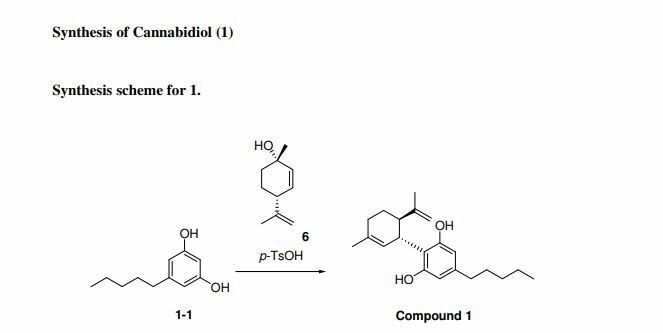 One way to circumvent this effect is to study the susceptible points of the peptide and try to enhance the stability by protecting the most protease labile amide bonds, while at the same time maintaining the activity of the original compound. Another point regarding the use of antimicrobial peptides is the mechanism of action. There are several mechanisms of action for the antimicrobial peptides, although the global positive charge of most of the peptides leads to a mechanism of action involving the membrane of the bacteria . AMPs has the ability to defeat bacteria creating pores into the membrane , also acting as detergents , or by the carpet mechanism . We have previously reported the activity of different peptides against colistin-susceptible and colistin-resistant A. baumannii clinical isolates, showing that mastoparan, a wasp generated peptide (H-INLKALAALAKKIL-NH2), has good in vitro activity against both colistin-susceptible and colistin-resistant A. baumannii . 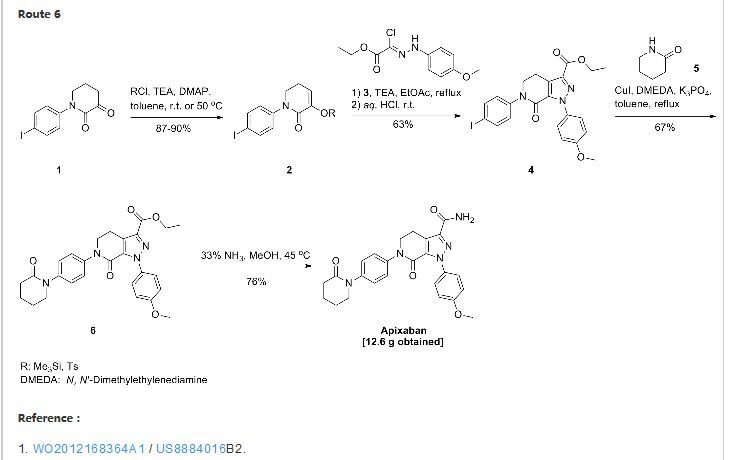 Therefore, the aim of this manuscript was to study the stability of mastoparan and some of its analogues as well as elucidate the mechanism of action of these peptides. •The most susceptible position of mastoparan is the peptide bond between isoleucine and asparagine. •The positive charge present in the N-terminal play an important role in the antimicrobial activity of the peptides. •Mastoparan and its enantiomer version exhibit a mechanism of action related to the membrane disruption of bacteria. •Three of the mastoparan analogues synthesized have good activity against highly resistant Acinetobacter baumannii. 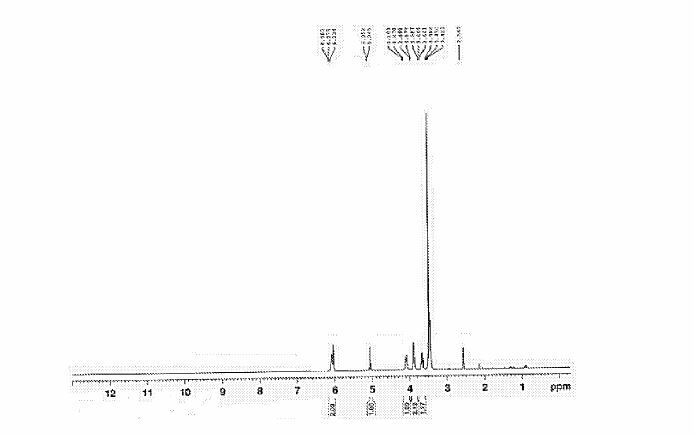 •Two of the active analogues showed a significant increase in the human serum stability compared to mastoparan. The treatment of some infectious diseases can currently be very challenging since the spread of multi-, extended- or pan-resistant bacteria has considerably increased over time. On the other hand, the number of new antibiotics approved by the FDA has decreased drastically over the last 30 years. The main objective of this study was to investigate the activity of wasp peptides, specifically mastoparan and some of its derivatives against extended-resistant Acinetobacter baumannii. We optimized the stability of mastoparan in human serum since the specie obtained after the action of the enzymes present in human serum is not active. 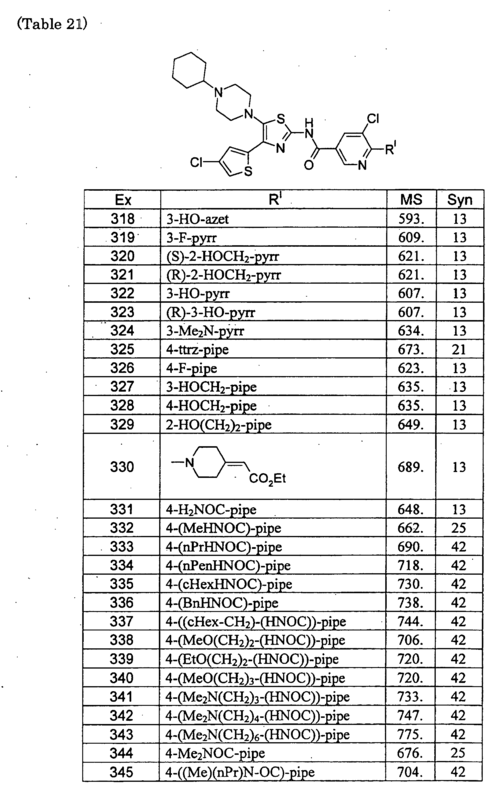 Thus, 10 derivatives of mastoparan were synthetized. Mastoparan analogues (guanidilated at the N-terminal, enantiomeric version and mastoparan with an extra positive charge at the C-terminal) showed the same activity against Acinetobacter baumannii as the original peptide (2.7 μM) and maintained their stability to more than 24 h in the presence of human serum compared to the original compound. 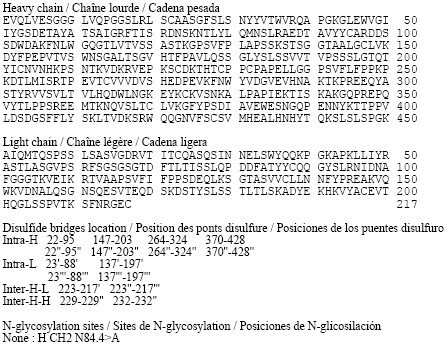 The mechanism of action of all the peptides was carried out using a leakage assay. 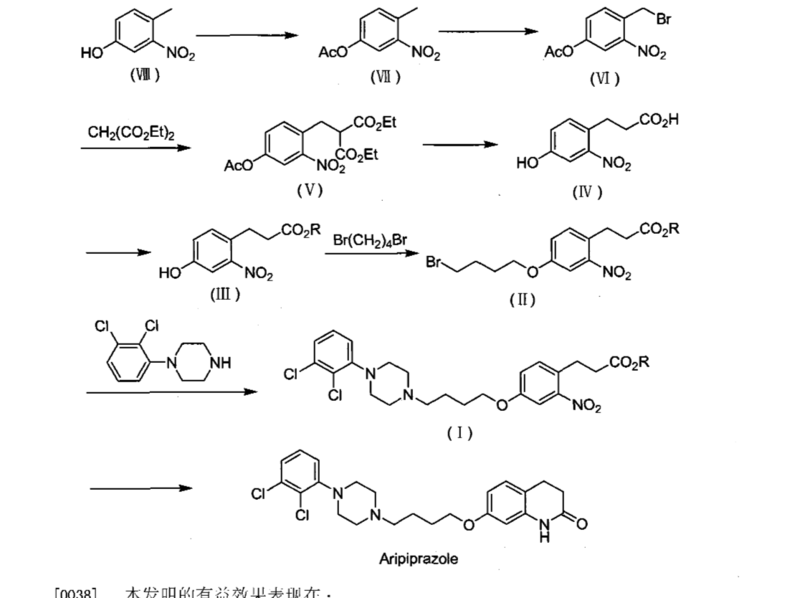 It was shown that mastoparan and the abovementioned analogues were those that released more carboxyfluorescein. In addition, the effect of mastoparan and its enantiomer against A. baumannii was studied using transmission electron microscopy (TEM). 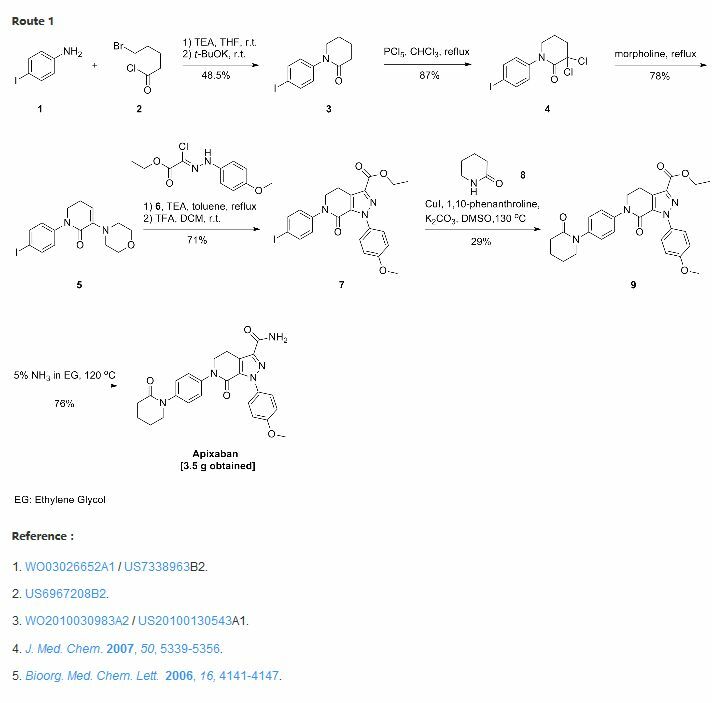 These results suggested that several analogues of mastoparan could be good candidates in the battle against highly resistant A. baumannii infections since they showed good activity and high stability. PDB: 2CZP; Todokoro Y, Yumen I, Fukushima K, Kang SW, Park JS, Kohno T, Wakamatsu K, Akutsu H, Fujiwara T (August 2006). “Structure of Tightly Membrane-Bound Mastoparan-X, a G-Protein-Activating Peptide, Determined by Solid-State NMR”. Biophys. J. 91 (4): 1368–79. doi:10.1529/biophysj.106.082735. PMC 1518647. PMID 16714348. Higashijima T, Uzu S, Nakajima T, Ross EM (May 1988). 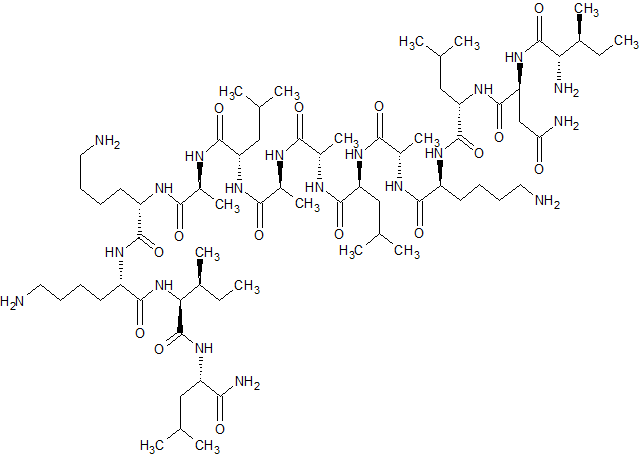 “Mastoparan, a peptide toxin from wasp venom, mimics receptors by activating GTP-binding regulatory proteins (G proteins)”. J. Biol. Chem. 263 (14): 6491–4. PMID 3129426. Solution structure of mastoparan from Vespa simillima xanthoptera. By DR ANTHONY MELVIN CRASTO Ph.D in Peptide drugs on July 8, 2016 .